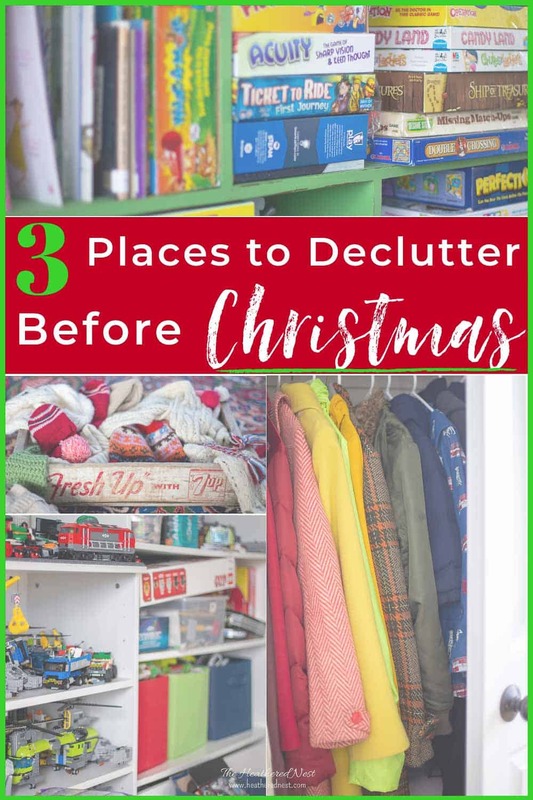 I’m like a child pretty much all year through, but ESPECIALLY around Christmas time. 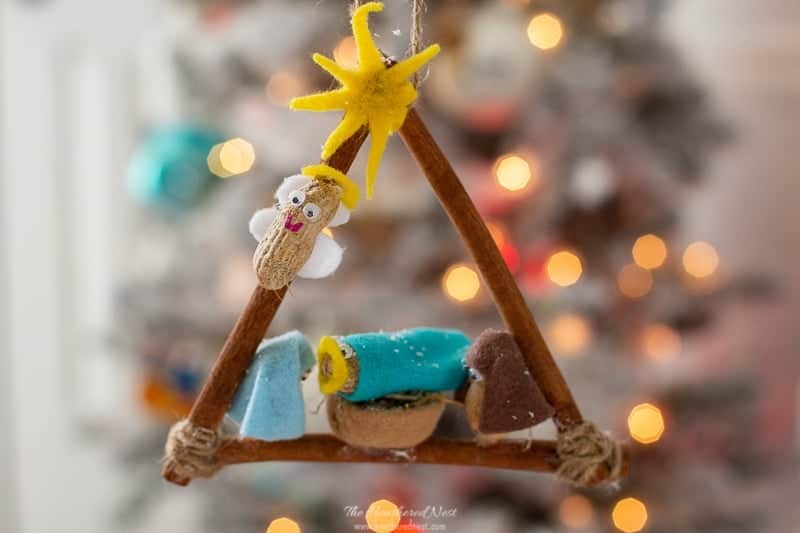 This DIY nativity ornament is a riff on one that I actually made in Girl Scouts waaayyy back in maybe 3rd or 4th grade. 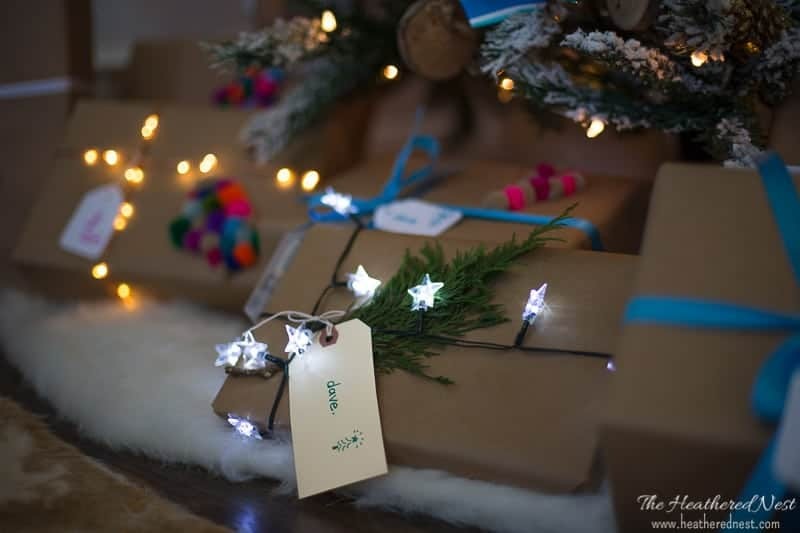 It’s one that I still have and adore to this day, so I thought it would be a great one to re-create and make with my own kids. 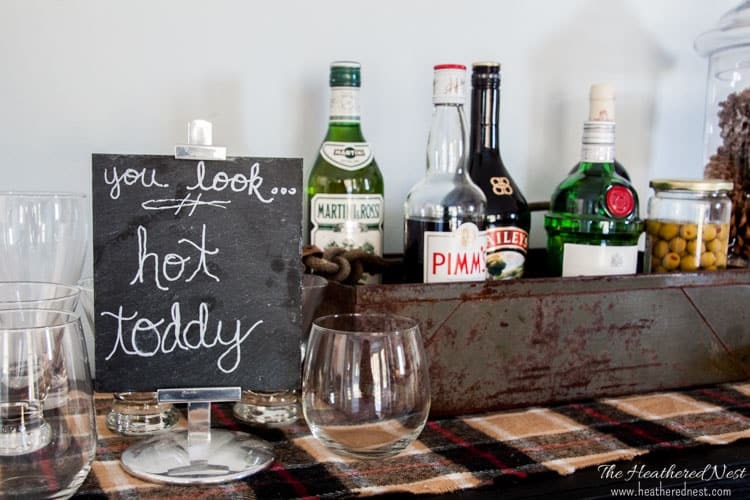 It’s very inexpensive to make, and one that hopefully, will stand the test of time in your own home. 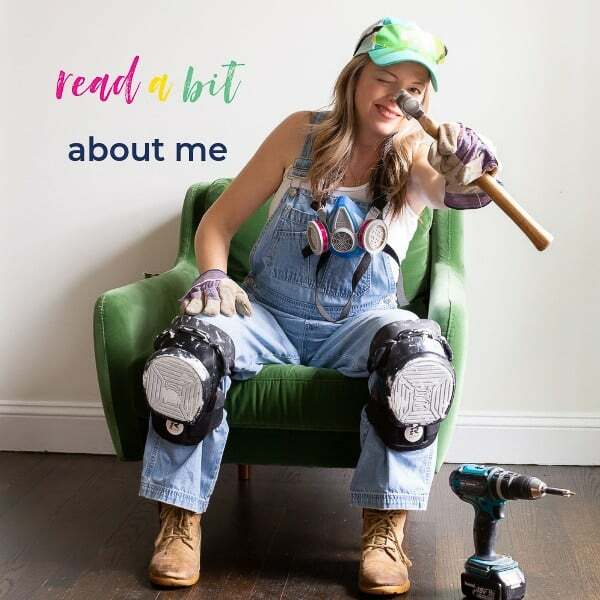 Before we get into it, just want to let you know that I’m doing this post as part of a group of 31 wonderful bloggers. 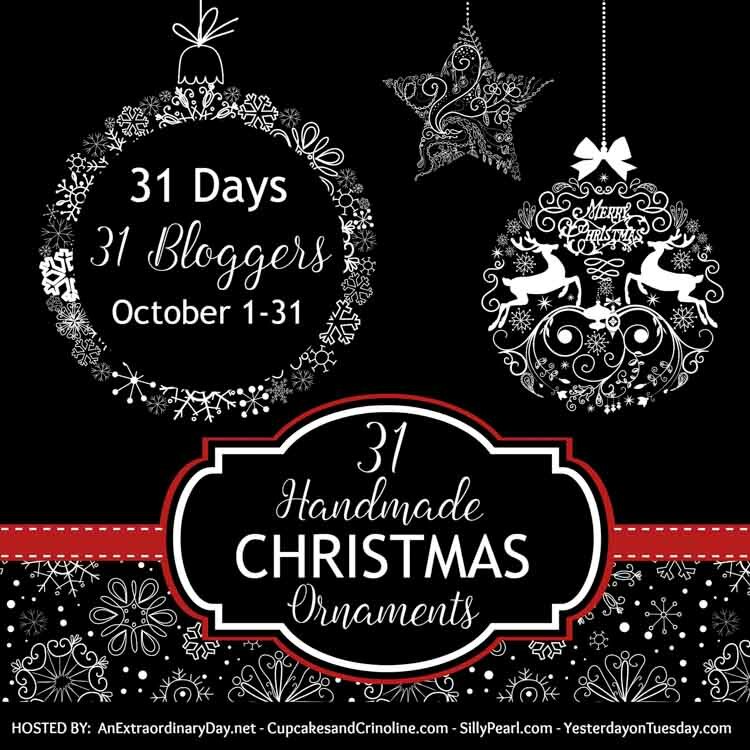 Every day, one of us is making and sharing a homemade Christmas ornament throughout the entire month! 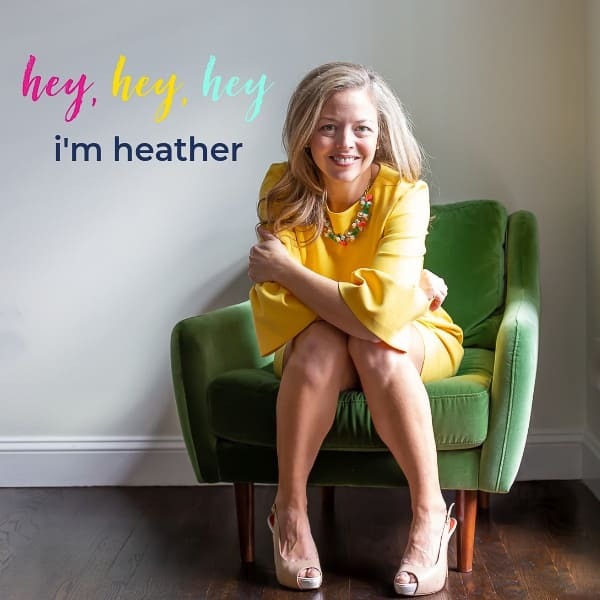 And since the month is almost over, you and I have a LOT of catching up to do! 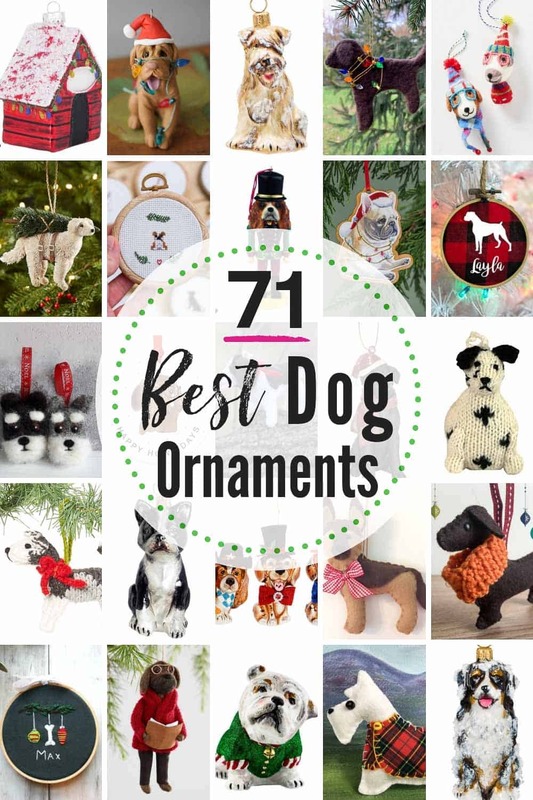 All their blogs and info about each ornament can be found toward the bottom of this post! 1. Hot glue cinnamon sticks to form triangle manger. 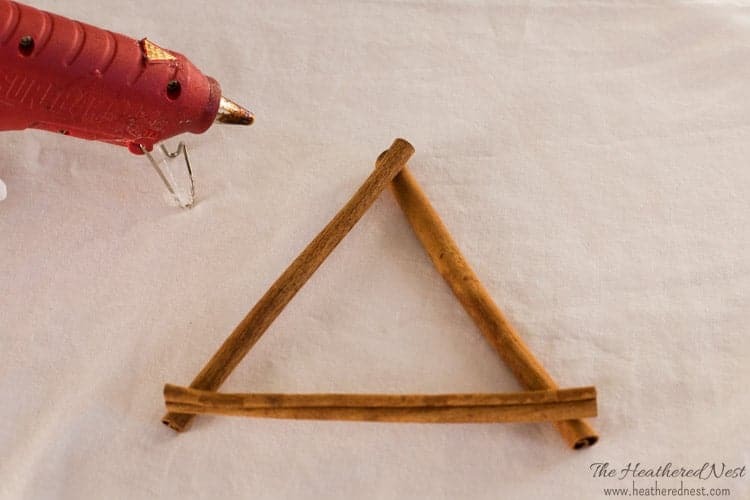 Arrange three cinnamon sticks into a triangle, and hot glue at corners. 2. 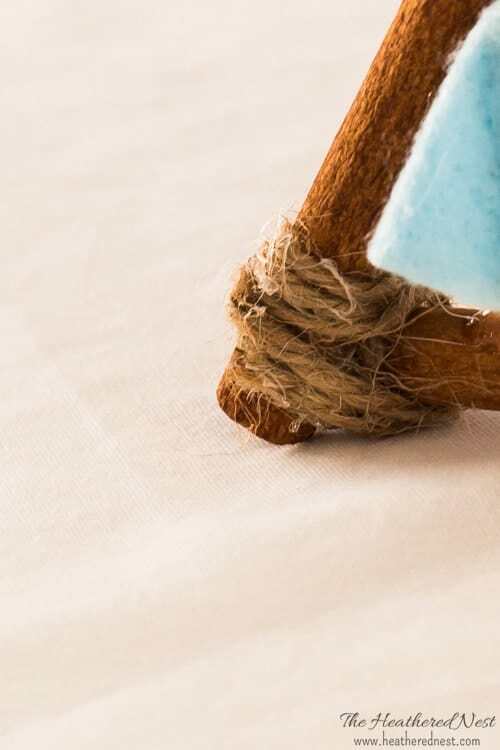 Add twine around corners of the manger. Glue in place. 3. 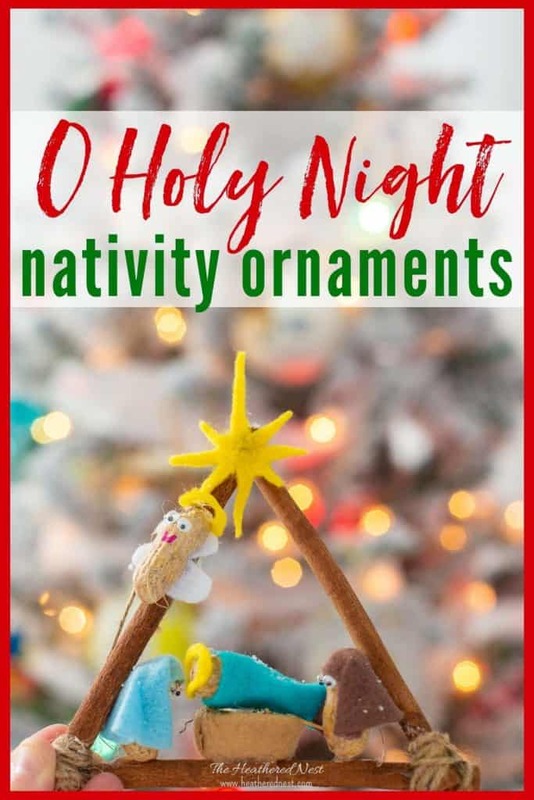 Cut out and attach felt star to the manger with hot glue. 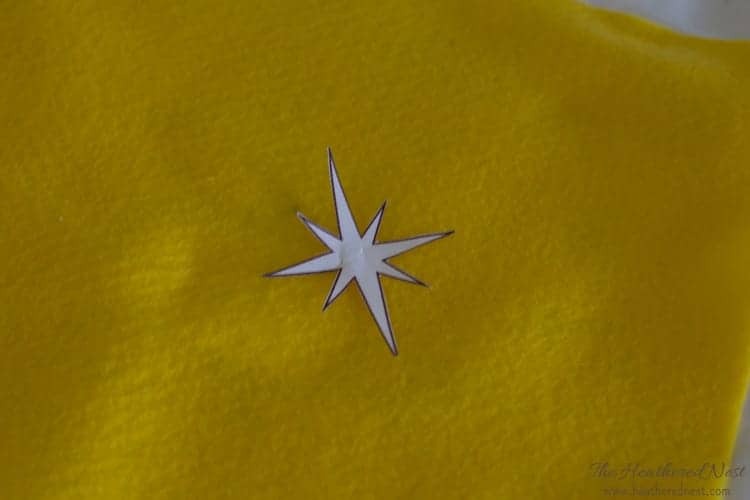 I don’t know about you, but I find it very hard to cut out a star without a template…so I googled “nativity star” and printed one out and cut into a template to trace onto the felt. The kids found this method a lot easier than freestyling it, too. 4. 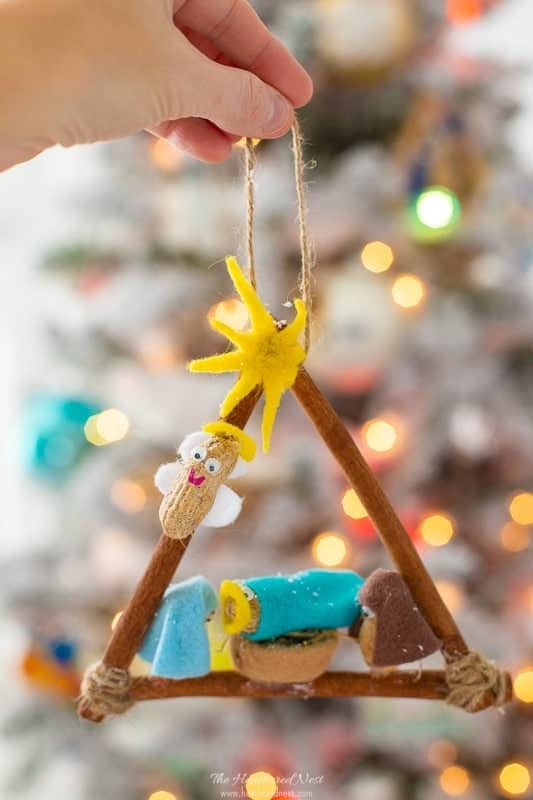 Make and attach angel to the manger. 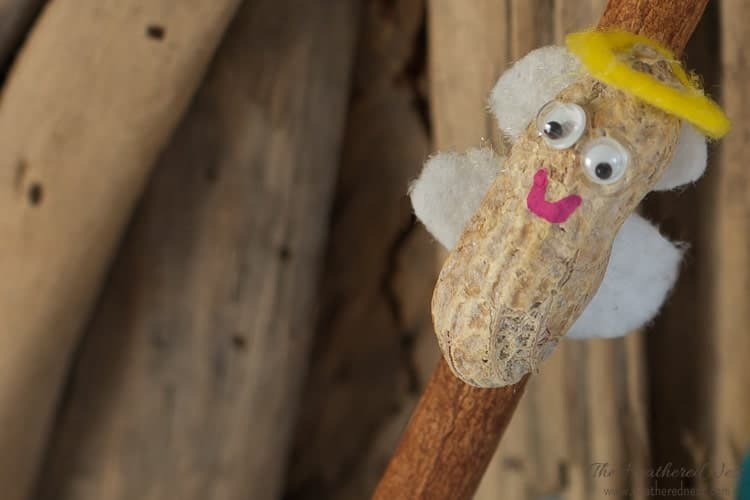 Cut out some felt wings for your peanut angel, and a halo. Hot glue the wings and halo in place, then hot glue the angel to the side of the cinnamon stick manger. 5. 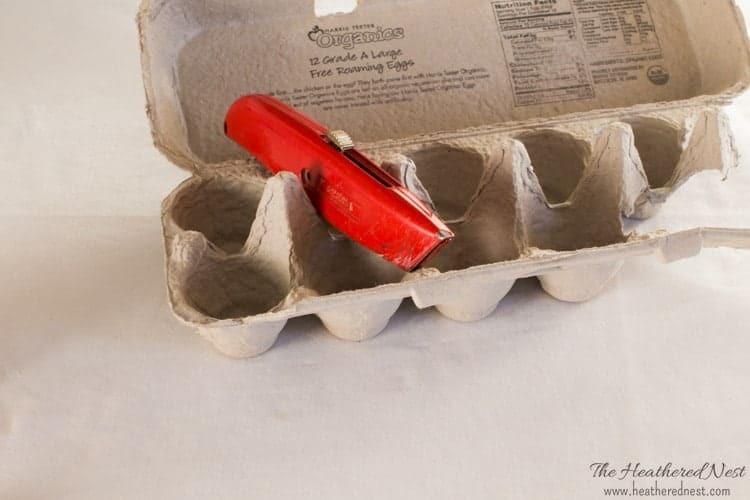 Make a bed for baby Jesus with one section of an egg carton. Attach to the manger with hot glue. 6. Make and attach Joseph and Mary. 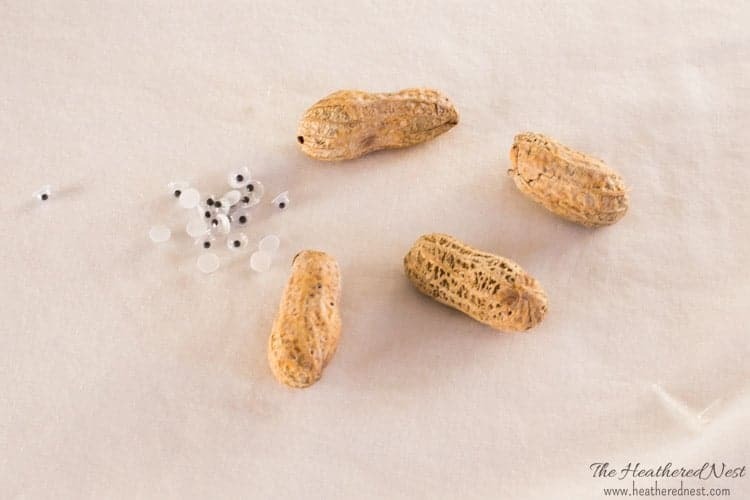 Mary and Joseph are both made with a peanut, and some felt for their clothing. I used brown felt for Joseph, and a baby blue for Mary, but anything goes. The felt is attached with hot glue, as are the googly eyes. 7. Make Baby Jesus and lay in the manger. Use another peanut for Jesus. 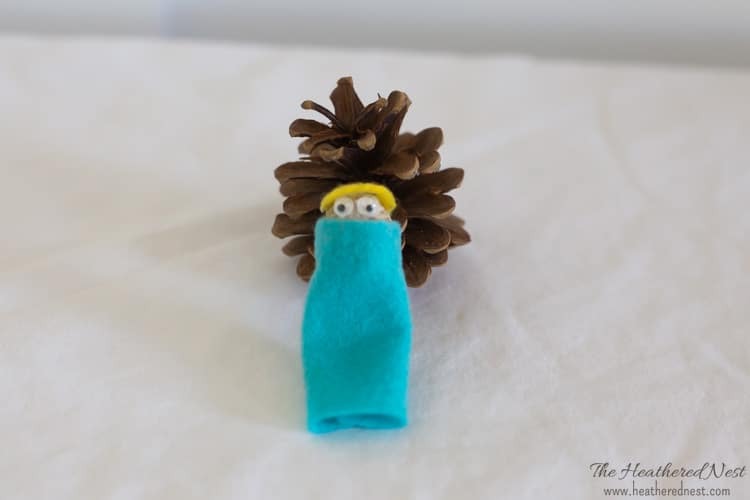 I attached googly eyes and made some “swaddling clothes” out of a blue felt, which was simply wrapped about the peanut and hot glued in place. 8. 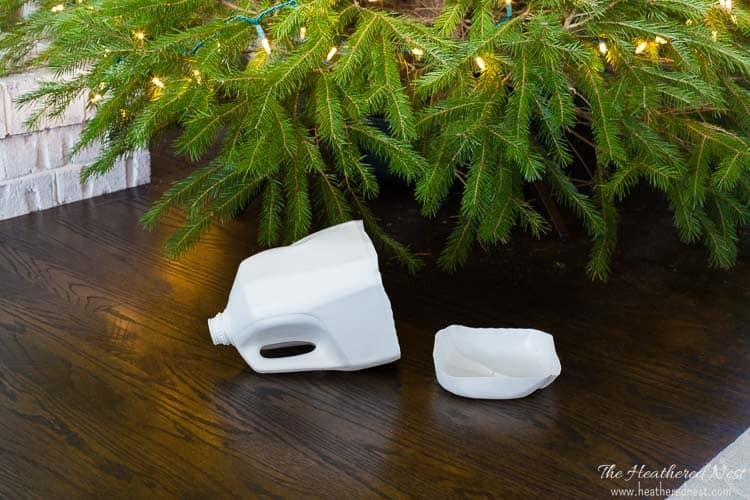 Attach Joseph, Mary and egg carton bed to the manger with hot glue. 9. 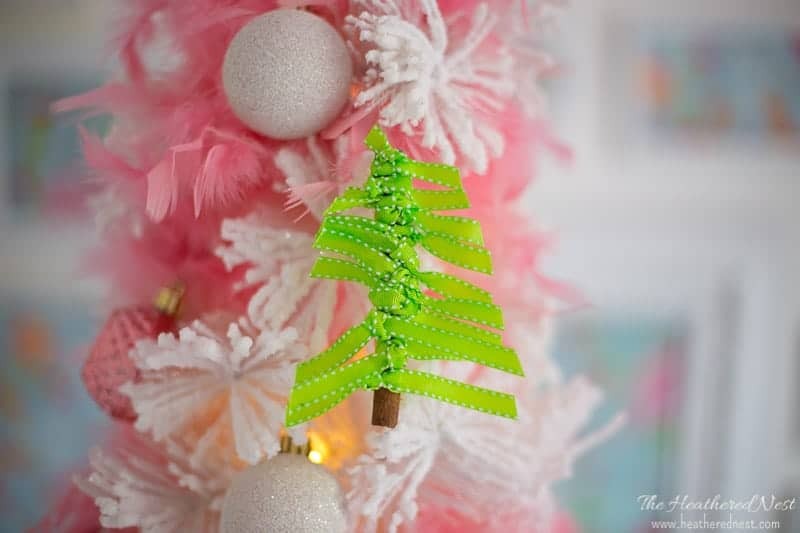 Attach twine or fishing line for tree hanger. I simply made a loop with twine to act as a tree hanger. Easy breezy. 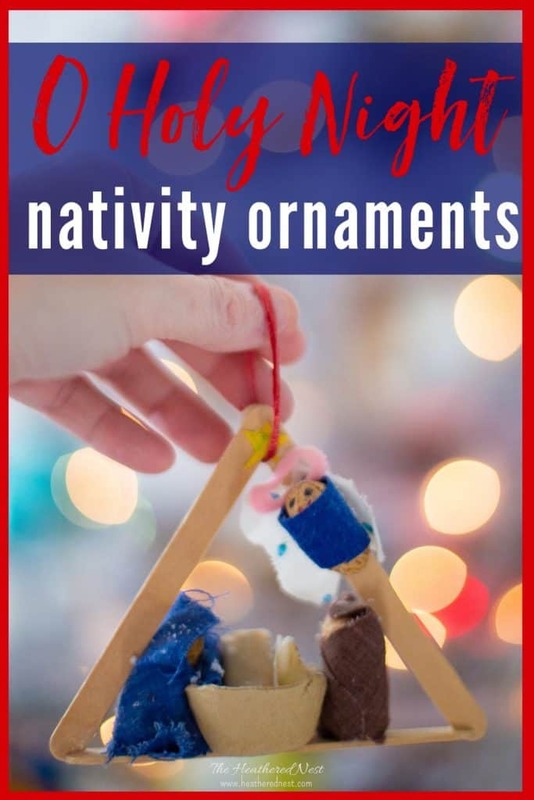 Your DIY nativity ornament is done! 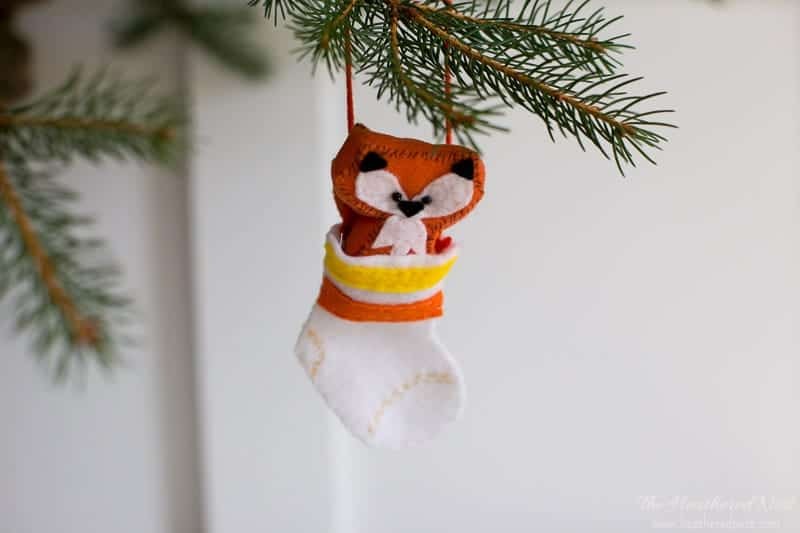 I hope you enjoy this DIY nativity ornament. 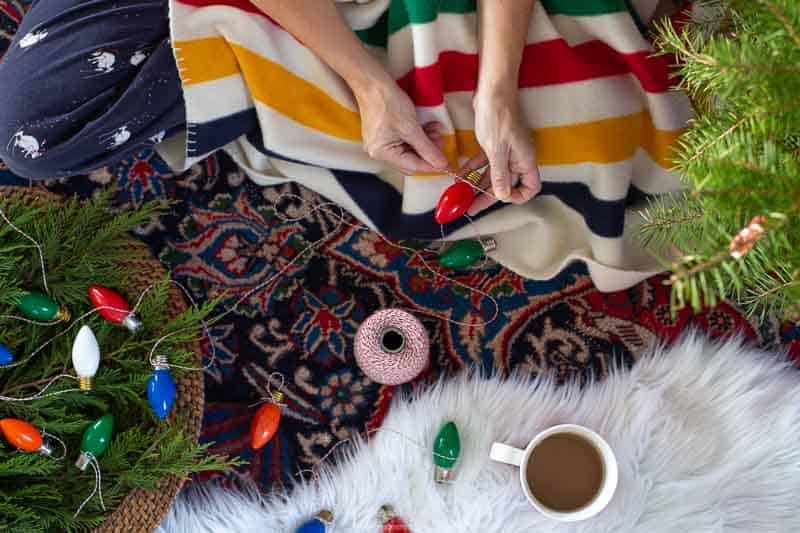 And if you’re looking to make some more DIY Christmas ornaments this year, we’ve got a full 31 days of ideas for you! 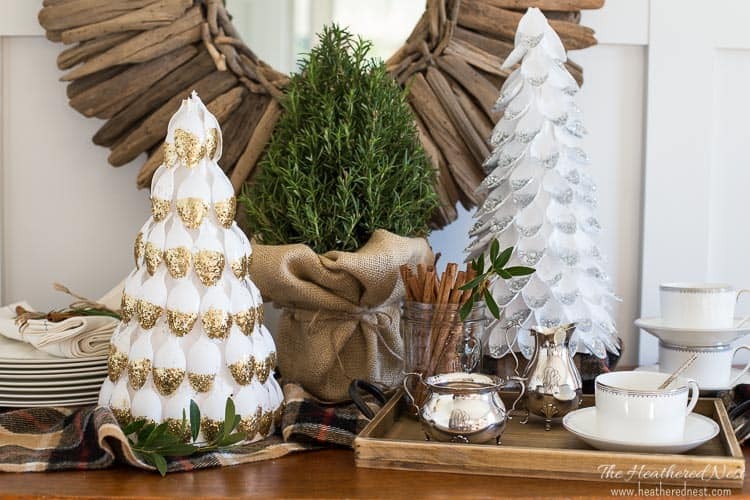 Check out the bloggers who are joining in on this parade of DIY ornament ideas below! Heavens to mergatroid these are cute and Baby Jesus with googly eyes is a keeper! Any time I can involve food, Kathy, I do.